My friend Nancy told me about le paradoxe, which is exactly what you think it is: “the paradox.” I’m not sure why it’s pronounced with a French accent, but it’s the idea that a solar eclipse bends one of our Vampire rules: the need to be in the ground during the daytime. Just a reminder: sunlight doesn’t kill us and neither do stakes — not to imply we’re fond of either. According to Nancy and confirmed by Parham, during the period of even a partial solar eclipse, it elates a euphoric reaction in Vampires and suspends our “corpus visage” from the moment of First Contact. 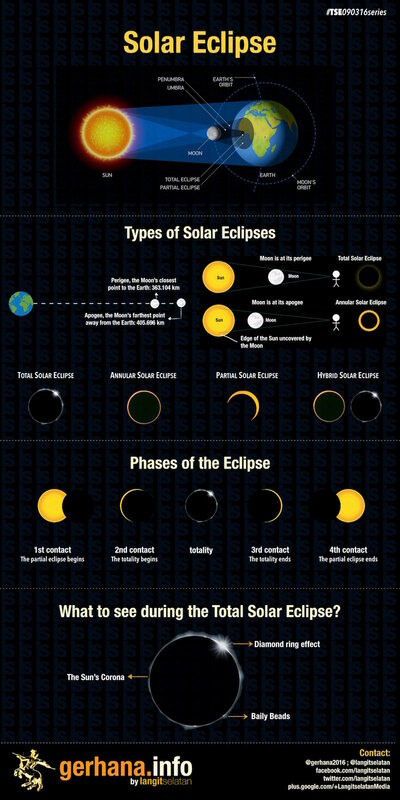 Here’s a cool chart showing all that eclipse terminology and stuff if you’re interested. And unlike mere mortals with retinas that can burn out, we can look at it all we like. To repeat: unless you’re undead, NEVER look directly at the sun. This said, I am planning accordingly… to “Ladyhawke” it but without all that priest-killing. I’ll be on the rooftop of Cedarcrest Sanctum next to my belfry — aka my lunarium — and I already have a beach lounge chair angled for optimal viewing. I’m thinking flip-flops and a bikini, the red two-piece I never get to wear anymore. Maybe I’ve included an old picture of how I looked in it when I was still alive, or maybe I haven’t. Wouldn’t you like to know. See you all after the eclipse! Ever heard the tale of Androcles and the Lion? There are plenty of variations, but the core of the story is that a mortal man cares for a deadly lion in need of help, foregoing his own safety to do so since the lion can kill the man on a whim. This selfless act earns the predator’s respect and affection; not only will the man remain safe in the lion’s company but can count on the protection of the clawed and fanged creature if threatened. Surprise FYI: Vampires aren’t all that different, folks. When I was turned and subsequently abandoned, I internalized; I couldn’t bear the death of even one more innocent on my conscience. Fortunately, I was taken in, provided for, and (mostly) allowed time to figure things out. Everyone needs help from time to time, whether it’s having a thorn removed from a paw or satisfying the thirst of an immortal. There’s always a risk, of course; every situation and individual are different, just like Vampires or lions. Sometimes hope isn’t as unattainable as you think; your fate isn’t sealed. I took a life when the monster took over, and while the lives I’ve saved will never replace the one taken, I don’t save them in penance; I do it because it’s the right thing to do… and because I have the power to do so. If you need help, seek it. If you are offered help, accept it. And even if you’re afraid, sometimes it’s still good to be another’s hope — even at risk to yourself. If there’s a better definition of heroism, I’ve never heard it. “What did we get?” I asked Cole after takeoff. “Me, too.” I noticed mom and dad together in the back of the plane where mom had napped out on the way up. They seemed okay, but it was all a bit of a shock: a bitter end to an otherwise enjoyable weekend. Now we were all questioning what parts were real and which weren’t… as well as who to trust. I went back to sit with them. I wasn’t convinced. “From what Ron started to say, this Adam took the time to find out who I was, who you were, who Ron was, and set all this up. 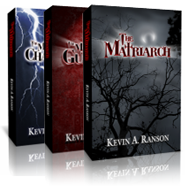 I can’t imagine his intention was to do us harm; he passed up plenty of opportunities before that.” I shuddered at the thought of letting my parents sleep there, in his house, when they could have been kidnapped, murdered, or worse. Dad rolled his eyes and smirked. “Anything you need, Sweetie,” she replied in the most mom-like way possible. The sound was coming from one of those hockey puck-sized digital assistant devices. It had been sitting unassuming on a table the entire weekend and I hadn’t once considered it might have been listening to us — lessons learned. “So you’re a coward.” Ladies and gentlemen: my mom. “Meet me alone and I’ll scratch my name across your forehead; that’ll give you something to talk about.” I saw Travis grin; someone was having a good time. Switching places to guard my mother from Cammie — I loved the way she slinked backward as I approached — Travis got up close and personal with Ron, filching a mobile phone for his efforts. Tossing it to Cole, a quick copy of the contents was made through the data port; it was a start. “Adam came to us months ago…” Ron started to explain, looking toward my dad for possible forgiveness. “Hey, daddy!” I said, strolling in from the kitchen and finding a place to plop down on the couch… separating him from Uncle Ron in his recliner. Mom was on a love seat watching something on television. “Dishes done, sweetie?” my dad asked. “Ron’s,” my father answered as I stared my so-called uncle down. Aunt Cammie returned from the bathroom sporting a bandaid over her cut finger. She was moving toward my mother with purpose. I met her eyes as I spoke. “Stop, Cammie,” I commanded her. She didn’t, of course, stopping instead behind my mom’s chair and within easy reach of her. Ghouled… probably both of them. I was impressed how well my parents were taking the whole thing in stride. Had they already suspected? I recalled that Michigan had a population of about ten million, so by Magdy’s estimates, there were about eight Vampires in the state. The sad part was that we had checked; there was zero evidence of any immortal activity in the Flint area, not for a decade. I squeezed Ron’s throat a bit tighter, but I was certain he wasn’t fighting me. Cammie might not have been careless; I may have meant to discover the deception at this point. Were they both waiting to see what I would do next… or were they waiting for others to arrive? Two doors broke open; Travis came in the front entry as Cole appeared from the kitchen. “Anyone else?” Cole asked as he surveyed the situation. “Everyone else left hours ago.” Dad understood something was amiss; he and mom were keeping their cool wonderfully. Travis inserted himself between mom and Cammie. I concentrated and couldn’t sense any Vampires close by. Unless the house was wired to explode, my guys had the upper hand. Aunt Cammie asked me into the kitchen while Uncle Ron continued to entertain with my parents on the enclosed back porch. I never knew her growing up, so there was a lot of trust set forth with my dad as the common denominator, but I also had no reason to doubt her. It had been an enjoyable weekend with people coming and going — even if I only saw them in the evenings. “I understand you’re heading back tonight,” Cammie said. “Seems a bit late for a flight out of Bishop International.” She started washing dishes as she spoke. “We have a charter plane through the place I work.” I joined in with a towel as she filled the dish rack. That’s when I noticed the way Aunt Cammie changed up how she washed the utensils, just in time to nick the side of her finger with a knife. I tensed at seeing the first droplet of blood form as Cammie shut off the water, but I stayed composed (having fed from both Cole and Travis before coming over) and casually ripped a paper towel from the nearby roll to hand to her. “I never do that,” she chuckled, wrapping her finger and holding it tight. I rewound what saw in my mind: perfect recall. She had tensed in anticipation of her cut, but why would she cut herself? It felt distinctly like a Vampire test — one I assumed I passed — but it was the first inkling I’d felt all weekend that anything was amiss. If the cut wasn’t an accident, my parents and I were already caught in the trap… and Uncle Ron was certainly a part of it. I finished the dishes, put them away, and calmly considered all the ways I could eviscerate my dad’s half-brother. So: pre-Easter dinner… which I was already late for at sunset. The idea was that I’d “already eaten” and could join the conversation at Uncle Ron’s without making too many excuses… which would have worked fine until the cook insisted the family wait for me. Also, the dinner party was bigger than I’d been told: in addition to my parents and myself, dad’s brother also invited his wife’s father and mother, Willie and Ezra… seven in all. Ezra latched onto me like a new best friend, even rearranging the dinner table to sit beside me. Dad and Ron had done a lot of catching up during the day, but my fears of becoming the topic of conversation were allieviated by Willie leading the subject matter. Willie was a veteran warhorse. He looked like he could be a curmudgeon and had earned the right to be one. Recent surgeries mentioned included his new elbow, a new hip, and waiting for his replacement knee to heal. His wife Ezra made sure he always had a fresh cold beer tucked into a cozy before the last bottle ran dry. Talk turned to “the war” and how bunkers were better than foxholes. When bunker guys got a day of rest and relaxation, Willie explained, they went to a place far away from “the bangers” for hot showers and cheap American beer; when foxhole guys got a day, they spent it in the bunker! Willie said he’s been in the country for nine months, respectfully adding the foxhole guys were “the ones who actually TOOK the hill.” When he’d been in South Korea, nothing was taller than a chimney but now they have skyscrapers. Ezra mentioned later that Willie almost never talked about the war and that he must have liked me. The conversation eventually moved out onto a patio to enjoy a cool Spring evening talking about speed limits being too low and weird craft beers. It felt very normal and entirely peaceful taking it all in. I noticed my mom looking at me with a sense of pride, I think, marveling at the predator who could still pass for human. Happy Easter, everyone… but this little adventure isn’t quite over yet. Destination: Michigan. I won’t say the city — hey, privacy, okay? We dropped off my folks where they’d be staying: with Aunt Cammie and Uncle Ron. I’d never met them before and only heard their names mentioned once that I can recall; Ron is apparently my dad’s older half-brother. Between Weston and St. Clairsville, we got to Michigan pretty late for a couple of welcoming retirees, so Cole, Travis, and I drove right on to our rental. Happily, it’s not terribly difficult to find a property with an earthen basement or cellar in the North. It also never fails to amaze me that you can ask someone to dig a hole with the exact dimensions of a shallow grave and no one asks, “Are burying a body or something?” Pro tip: never fill the hole back in before you leave; otherwise, they’ll just dig it up and may call the cops… just in case. It’s easier to pay a little extra (not no-questions-asked extra) and let them wonder if it’s a Pagan thing or something. They’ll shrug, fill the hole back in, and never once think a Vampire rested there during the day. Totally worth it. I thought I’d have to carry my dad’s jaw separately onboard! For safety’s sake, they each got a medicine cup with a drop of Vitamin Cedarcrest (aka my blood) before being offered a real drink by the crew. I’ll thank Bobby and Amy for sticking with us onboard; they keep my secrets. Anyway, my mom already looked sleepy after our pickup, so it wasn’t the cocktail that did her in as she ended up napped out while dad and I talked during the flight. Cole and Travis hung around for a while before slipping off to the front of the plane to check accommodations. Oh no you didn’t, you silly old man. “What?” I answered, feigning inattention and relevancy to his words. “No… I’m covered. I’m here as your daughter, not to feast off of you.” I added a chuckle to make it sound less sinister, but I’m not sure he noticed. I nervously grabbed my mobile and pretended to thumb through something… anything. When he said nothing afterward, I looked up again to see him staring at me. Actually, I felt it long before I looked, but I’d hoped I was wrong. That’s when I saw it: humility from my own father. “It’s the only way I know to still provide for you.” He was completely serious… wasn’t he? I felt a tear form and, not wanting my dad see me bleeding from my eyes, took a moment to recover. What could I say? “I don’t need you anymore” would have been horrible. I kept thinking through the angles. Maybe it WAS guilt over not trusting his daughter once, but he’d made sure mom wasn’t hearing this. Was he just curious? There was right after Ian turned me, the whole Louisa conversation. Daddy loved books about the supernatural, too. Have you ever heard the story why funerals in New Orleans have these grand parades that wind through the streets before burial? They say it’s to confuse the dead so they can’t find their way back home afterward… and likely destroy their surviving family. I doubled-down before I left Cedarcrest — standard operating procedure: two full pints. He was offering, and hey, I could eat.